A lot of eyes in the cryptocurrency industry are on the top markets. Since Bitcoin dictates the pace for all altcoins, tokens, and assets, its momentum is of great interest to many people. 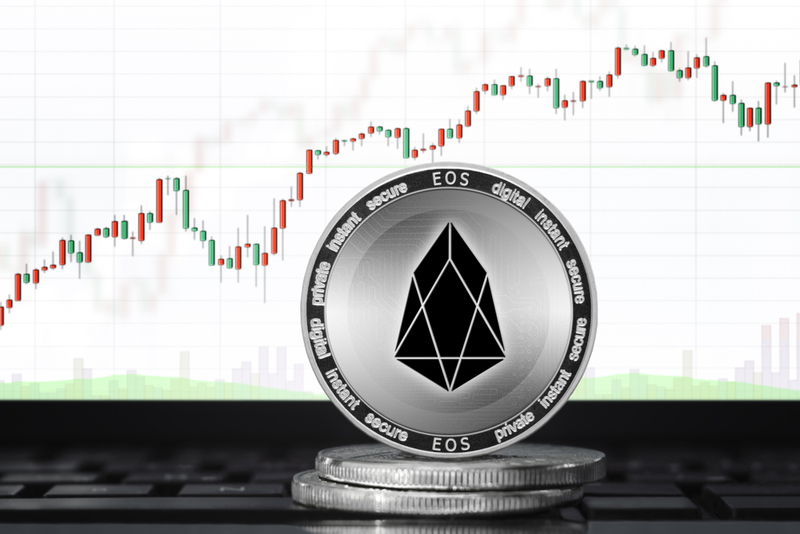 The EOS price is currently benefiting from this positive spell, although it might not necessarily regain the $5.5 level and turn it into support right away. When it comes to the different cryptocurrency markets, one has to wonder when the next breakout will occur. As of right now, it seems unlikely any major changes are expected, albeit one never really knows what the future will hold in this regard. For EOS, the current momentum seems promising, although there is some bearish pressure on EOS/BTC as well. This is in line with most of the alternative markets as of right now. To put everything in its proper perspective, the EOS price has gained 1.53% to rise to $5.48. It is not that far removed from the $5.5 level, although one never knows for sure if such “crucial” levels can be reached in the coming hours and days. What is slightly more worrisome is the EOS/BTC dip of 1.55%, which can eventually drive the value down to 0.001 BTC or lower in the near future. That would be a worrisome development, although it might not necessarily happen for some time to come. On social media, there are a lot of tidbits of information to browse through. TrexCryptoMania shared an interesting picture which depicts further growth of the EOS dApp ecosystem, as well as its trading volume and transaction volume for the past week. All of these statistics are impressive in their own regard, albeit they may not have any impact on the price whatsoever. Even so, everything looks good where EOS is concerned, whereas ETH seems to be dropping off all across the board. That’s correct.!! Green bars are #EOS. Speaking of which, it would seem both Ethereum and EOS were top performing cryptocurrencies in the past week. However, Ethereum noted some big losses as well, whereas EOS seemingly managed to hold its own quite well without any major problems. How both markets will correlate throughout this week and the months to come, could prove to be rather interesting to keep an eye on. As has been the case for quite some time now, it seems EOS is subjected to arbitrage opportunities on a nearly daily basis. As of today, there are several options to explore in this regard, with profits going as high as 1.43%. While this might not necessarily be that appealing to some traders, any profit is better than having to deal with financial losses. As the EOS value seems to push toward $5.5 once again, one has to wonder how things will pan out in the very near future. As long as Bitcoin remains in the green, it seems rather likely to assume all other top markets will see a very similar pattern. The overall crypto trading volume still remains on the low side, for some reason, but that isn’t deterring most of the markets at this time.